Beer- and sweat-soaked weekend set for February 9–11 in the Spa State Park. Capital Region hockey fans that didn’t have a ticket (or the energy) to catch the NHL Winter Classic at Citi Field on New Year’s Day now have three second chances: Saratoga has its own highly competitive, three-day international version coming up in February. This year’s Classic is set for February 9–11, and will see hundreds of players from all around the U.S. and Canada gather to compete in a four-on-four, round-robin-style hockey tournament sponsored by Labatt Blue and Nissan. Although this year marks just its third iteration, the Saratoga Frozen Springs Classic has quickly become a large production: The event’s staff has been prepping the ice and light installations for its 10 rinks since mid-December. Weekend parties hosted by the SFSC will include a DJ on Friday and a performance by local band the Refrigerators on Saturday. 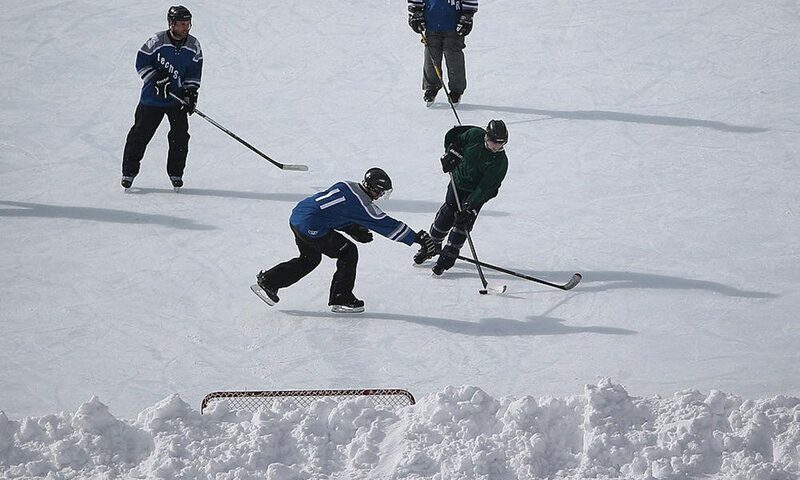 Much of the fanfare was made possible by the SFSC’s lead sponsor, Labatt, which helps bankroll 12 pond hockey tournaments across the Great Lakes and Northeast regions.